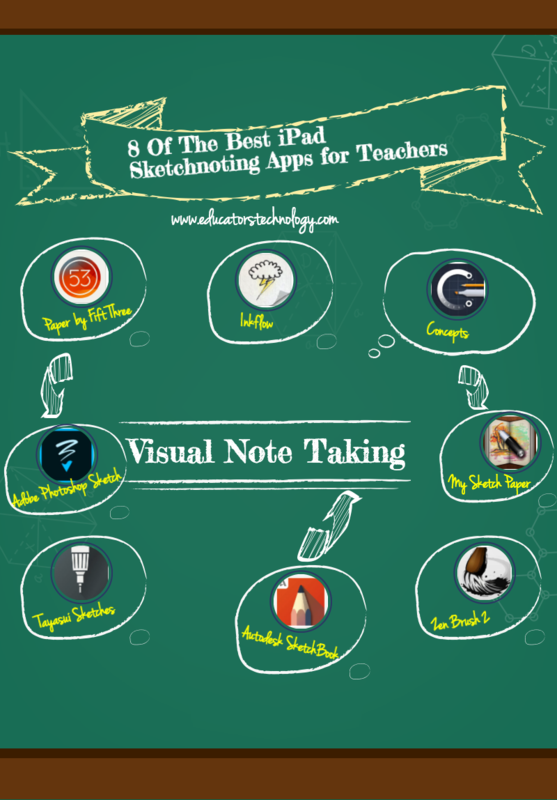 We are revisiting the topic of sketchnoting with an updated list of some of the best iPad apps you can use to create visually attractive sketchnotes. As we have argued elsewhere, Sketchnoting is the art of visual recording in which the sketchnoter draws on a multimodal set of tools to communicate their ideas. Unlike traditional note taking, sketchnoting is a primarily visual medium in that it foregrounds the visual element and highlights connections and hierarchies. Sketchnoting involves the blending of words with drawings, shapes, diagrams, and graphic organizers ( e.g arrows, pointers, bullet points..etc). Creating Sketchnotes is dynamic and fun.